A New Kind of Marathon. 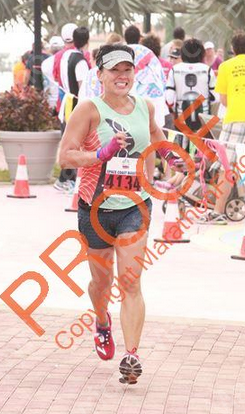 Space Coast Marathon 2013 = Pain Train. Since embarking upon my Boston Marathon qualifying mission in 2012, I have dreamed of toeing the start line of that epic road race. With a handful of attempts under my belt, I’ve been close – been far – and have kept pushing to reach that elusive time. I didn’t think there would be anything that could stand in my way from achieving that goal, yet this year, on Monday, April 20 – the 119th running – I found that reason, and I am not only at peace with it, but I have wholeheartedly embraced it. This “Marathon Monday” started like any other – kicked off the day with a run, I checked times that I could begin to watch the streaming video feed, was sure to wear Boston Strong apparel, had athlete tracking setup for my friends about to race, and had my tweetdeck loaded like an air traffic control set up. I was ready to watch – and thankfully, working for a specialty running store, it was not frowned upon in the slightest. Between work tasks, I would toggle back to the footage of elite men and women. Watching a marathon can be emotional, and it was like my heart and nervous system were on overdrive – not to ramp down until my last athlete friends had crossed the finish line. Staying a little longer than usual (to make up for a little extra work) I left the office that afternoon, with full intention of hitting a second run of the day, but first – a stop at Target. I was craving something that usually only struck my fancy during a long run: Swedish Fish – those sticky, gummy, chewy candies chock-full of sugar! After I made my purchase (among other items – because who can leave Target with just one item?) I was back in the car, tearing open the bag, back on the road home. Despite just eating the candy – not running and fueling with the candy – I felt the strangest wave of endorphins as I chomped off the heads, fins, and tails of each red fish. Back home, I was greeted as I am each evening – by our two jumping, drooling dogs – part excited to see me, part excited to be fed. I filled their bowls, dropped off my heavy computer bag, then washed my hands and changed clothes. I carried that Target bag with me into the bedroom, and sorted through the items, carefully putting them away – but one item, I realized, didn’t want to be carefully stowed in the linen closet – so I unboxed it, took a deep breath, then within moments, found out that my life, from that moment, would never be the same. Next up: the first 12 weeks of a new “training cycle”. Eeeep! I am so excited for you! I love this new “training cycle” idea. ❤ Excited to follow along! Thanks, Megan! The idea presented itself, as so many people have asked, since I found out, how this will change my running/marathoning 🙂 I look forward to the journey myself!! What wonderful news! I hope your new “training cycle” is treating you well! Congratulations again! Wow, what a day to find out (that’s my b-day!)! Having a baby is definitely a game-changer in every way! Love it. It’s like a mini cupcake. Congratulations. What a great memory of your discovery. Hope you’ve been feeling good this far. Thanks, Haley!!! ❤ Feeling better each week!!! So happy. Congrats! I love that our due dates are so close to each other! We’ll each be getting the best Christmas present ever this year! Yahoo!!! Congrats and welcome to the club! Enjoy this wonderful time! Congratulations!! Such exciting news. All the best to you in this “training cycle”!